Thursday (12 – 2pm CST) is the day for you to chat with “Walmart Eleven Moms” and ask your questions. I’ll be there, and I’ll remind you to join me. You can actually submit your questions now, here are the categories that may help you think of something to ask these frugal experts: Shopping for Toys, Money Saving Products and Ideas, Holiday Dinners, Inexpensive Ways to Reduce Stress, What to Buy Early, Saving Money on Halloween. I just submitted a question, and I hope you will too. There are certain coupons that I save for shopping trips to Walmart. These are coupons that have a high value in comparison to the low price for these products at Walmart. Also there are a few products, like Orville Redenbacher’s Popcorn Cakes, that I only see at Walmart. There are over 100 coupons at Coupons.com for you to browse and print. Some of them would be great to take to Walmart (or any grocery store)! Happy free sampling and couponing! I am just looking to blow off some steam this morning. Here goes…I go to Walmart this morning (5:30 am so I am barely awake) and the only aisle open is the self checkout. After finally getting through ringing it all up (with only a couple of minor beeps for skip bagging) I go to enter my coupons and the girl manning the aisle says, “We don’t take internet coupons anymore. There were too many fraudulent ones being passed off. ” (Their coupon policy states that they do! )Well that really ticked me off. I did not feel like arguing about it that early in the morning and besides it probably would have gotten me nowhere at that time in the morning. So I came home and immediately zipped out am email to the store. I felt much better after that. Hopefully they will do something about it! 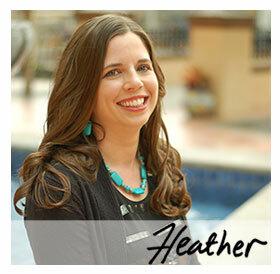 Thanks, Heather, for always being so supportive of the elevenmoms!